Lydia Sweetland has over 20 years experience providing home staging services in the Phoenix area, creating a custom design for each and every project. Her main goal is helping her clients, from Realtors, Homeowners, Investors and Builders, market properties to their best advantage in a competitive market. We believe that for most people, home is the most important place on Earth. Center Stage Interiors was created to bring interior design to the real world. We work with all budgets and no project is too big or too small for us to handle. We understand it takes a huge leap of faith to turn over the keys to your castle. We value your trust above anything else. It's all about you.... your taste, your budget, your schedule. For those who like to do the work themselves, we offer color and design consultations. For others, we can complete your projects from start to finish. For most people who want input but don't want the headaches, we bring a terrific team of trades people for whatever you need. One of the primary goals of Center Stage Interiors is to save you money. We pass all our discounts to our clients and provide every receipt so you can see where your money is going. Center Stage Interiors' philosophy is simple....save people both time and money, deliver stunning results, and treat everyone as we would want to be treated. Call today to discuss your design needs. We are here to help. 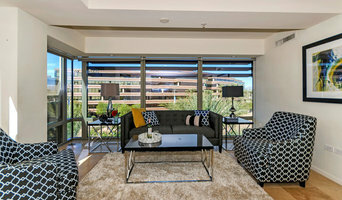 Staging Arizona is a full service design group that specializes in staging homes for sale in the Phoenix Metro area. Our company has been staging homes for more than 15 years in the Valley of the Sun and we are very passionate about our service. Our entire team is comprised of real estate and staging professionals that are committed to helping Sellers enhance their homes appeal in order to sell quickly and for top dollar! As a result, a high percentage of our business is from repeat customers and referrals. Specializing in: - Home Staging Having a background in real-estate we have an understanding of what it is to sell a home. Every home is different they all tell a different story but we want that story to be relating to all who enter. We strive to have your home stand apart from the rest. If you are flipper we don't want people to feel that they just walked into another grey/beige house. We want them to Say "Yes!! this is the house for us". We want them to visualize them coming home and putting there feet up, for them cooking there favorite meals and gathering around the table and entertaining friends and family, and for them to see a gorgeous bedroom they can retire to after a hard days work. 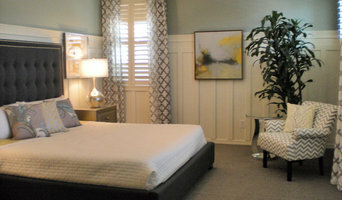 If you are a homeowner or agent looking for staging I know if usually comes down to budget. We guarantee to be to most affordable and most reliable staging company you will ever work with. Full-service home staging company offering both occupied and vacant home staging options that will meet any budget. Home Redesign/Interior Styling services also available. 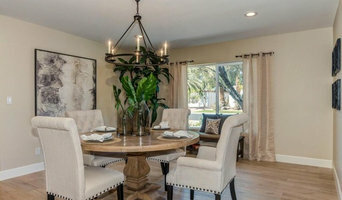 At CG Statement Designs, my work is guided by the desire to help people achieve their goals for their home; whether that means artfully staging a space to allow a home to shine to it's fullest potential or modernizing and restyling an interior to make you fall back in love with your current home. Attractive Interiors stage interiors that are full of life and style. With any budget in mind, Attractive Interiors will create a space you and your buyers will love! "Gracious Living, Lasting Style". Tina Mellino designs distinctive interiors that are created exclusively for your lifestyle- tailored to your comfort level and the telling of your story. Her portfolio is diverse and encompasses a range of styles from Casual & Eclectic, Traditional to Soft Contemporary and Southwest. A full service design studio that offers solutions for easy updates and design consultations to complete home renovations and project management. With over 30 years in the Valley we offer the time, talent and resources you need and will come to rely on. Feel free to reach out to us, we would love to hear from you! I will assist my clients in transforming their houses into homes. I will be there for them when they are ready to redesign or stage their home. I will apply the principles and knowledge I have learned to transform the space to fit my clients needs best. We do our best to work with your budget! Call us today for a free consultation! Tony Williams of Anthony W Design is a Phoenix Interior Designer that can take an old house and make it new. Whether you need a remodel consultation, full home design, or would like to use his Staging company, Local Trade, you can trust that Tony will be able to help you transform your dreams into reality.